Just enough spring snow to make a mom crazy. Just enough to delight a child. 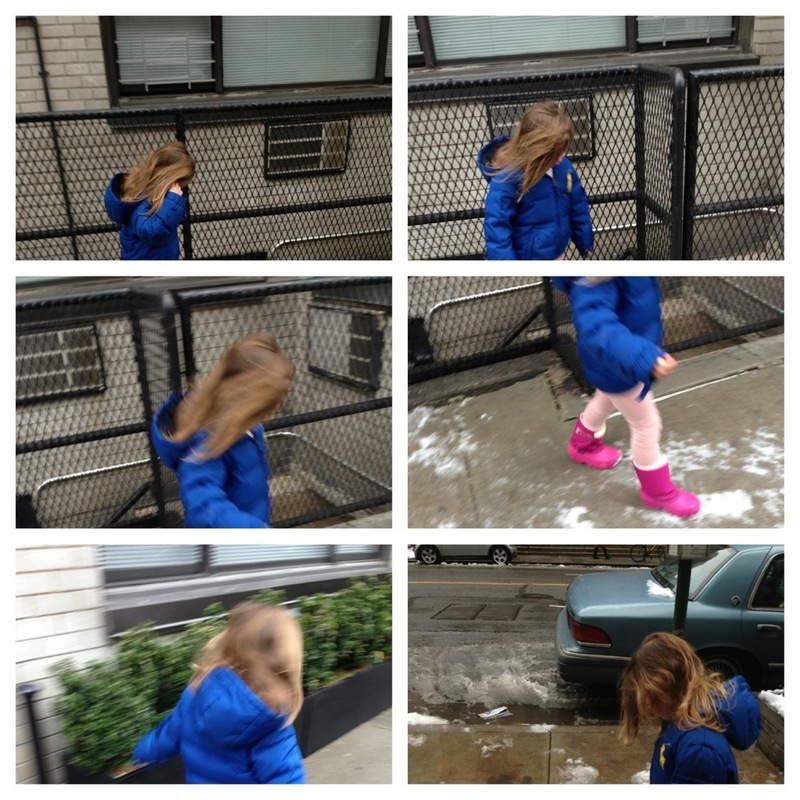 This entry was posted in NY, Wordless Wednesday and tagged Snow, spring, wordless wednesday by jessica. Bookmark the permalink. She looks like she was having fun. Did she leave you lone? Just a breath of warm air drives my little ones outside … and the mud back inside with them. The double-edged sword of spring. Too cute. Happy WW, looking forward to linking up again next week. You can feel the delight in the pics! 🙂 So cute! Oh, no!!! Snow in March! That is awful and one of my fears these days. I hope it’s just a breaf thing. Snow in the spring is mother natures way of teasing us. Spring is my favorite time of year. Have a great ww, hope you will join our Miniature Fairy Gardens WW. First day of spring is tomorrow, hopefully we have warm days ahead!